I have been asked this a few times and when I show it people typically like this option. When you create a new raster grid, it will be applied a default look, that is a default Color Table and some settings relating to Hill Shade. The good news is that you can control which Color Table and also if Hill Shade should be applied or not. If you apply Hill Shade you can also control the settings, such as the Sun Angle and Sun Elevation. These settings are set via the Backstage. Go to the HOME tab, click on Options and now click on Preferences under MapInfo Pro Raster. On the Display tab in the Raster Preferences dialog you can change these settings to what you would like them to be. 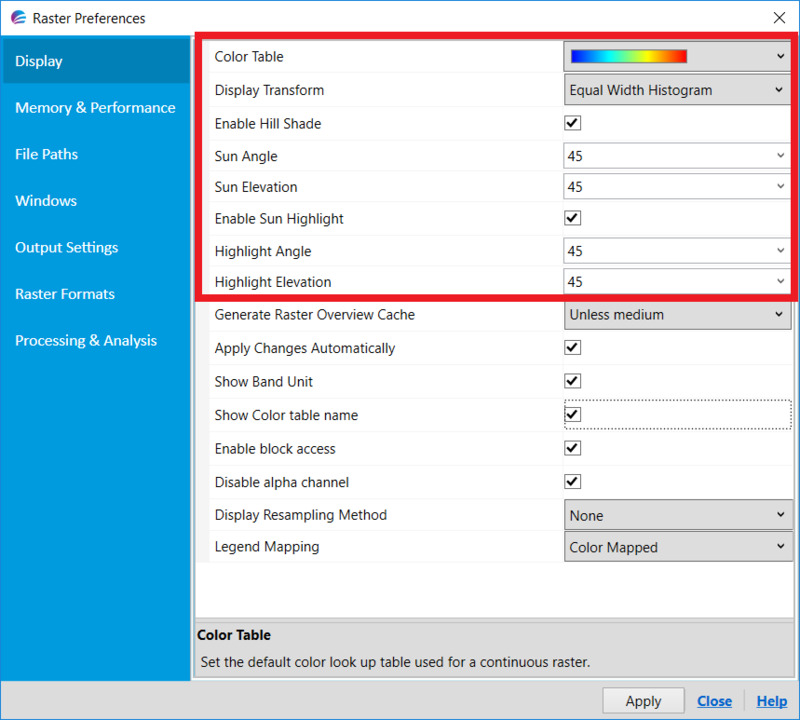 I have highlighted the settings that affect the display of the new raster grid.